PennsylvAsia: Lunar New Year Celebration with Pitt's Institute for International Studies in Education, February 5. Lunar New Year Celebration with Pitt's Institute for International Studies in Education, February 5. 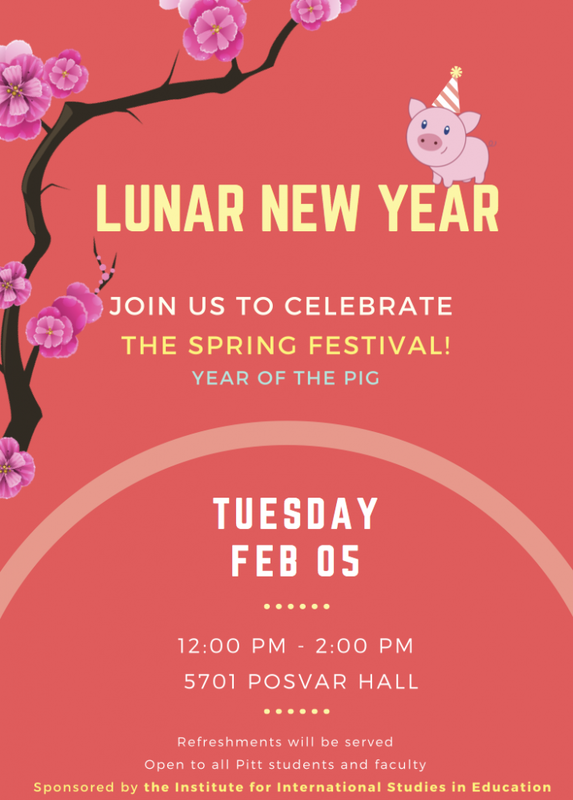 The University of Pittsburgh's Institute of International Studies in Education will host a Lunar New Year Celebration on February 5. It runs from 12:00 to 2:00 pm in 5701 Posvar Hall (map).